14ft x 14ft for ages 14 years and over. 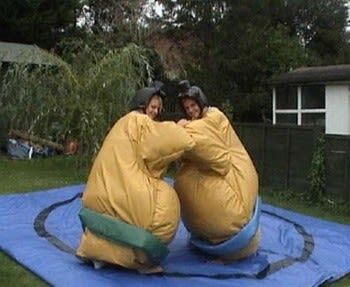 These huge foam filled suits will transform you into a giant sized sumo wrestler. They turn any event into a great success and will keep spectators and competitors alike entertained for hours!